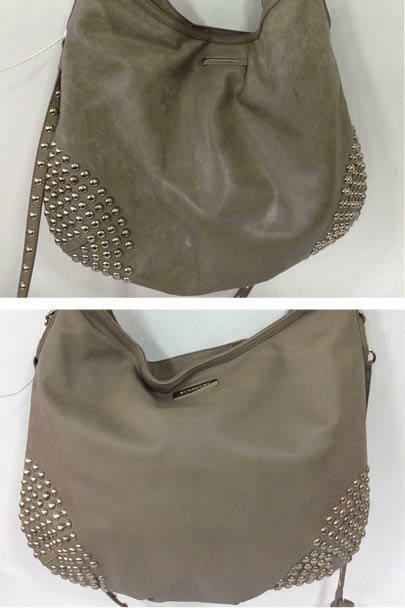 This unique Burberry stud hobo came into the spa in need of a full restoration service. Over time the original grey colour had darkened and even worn away in parts. After a Full Clean and Colour Refresh by our technicians, it was transformed back to its beautiful self. The base of bag can see some serious wear and tear, which was the case with this Mulberry Bayswater. In order to restore this iconic bag back its original oak shade, it came into The Handbag Spa, where the technical team first fully cleaned it inside and out. The next stage was restore the colour, by using an interior tab, which had been unaffected through the seasons, as a reference point. Now this Bayswater is back to looking its beautiful best. We have plenty of experience with Mulberry handbags and definitely have the expertise to transform yours. Dark handles are such a common problem we see here at the spa! Handles made from leather can go very dark due to the grease and natural oils from your hands penetrating the leather (in this case the Vachetta) this is particularly common if you wear a lot of hand cream! Fortunately here at The Handbag Spa, we offer a Handle Degrease treatment which aims to extract as much grease out of the leather as possible and lighten it. 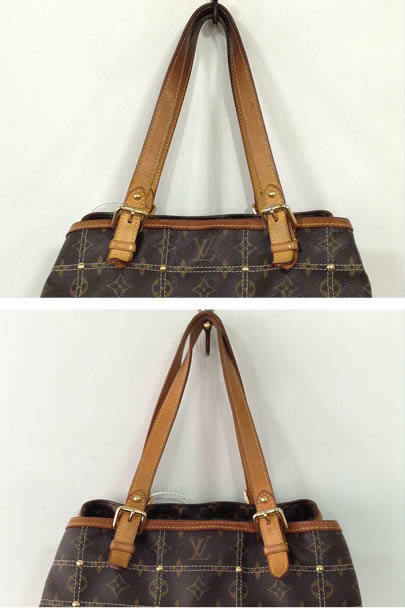 For a Louis Vuitton bag with a leather trim, we would recommend following up the Handle Degrease process with our overall Vachetta Restoration treatment. 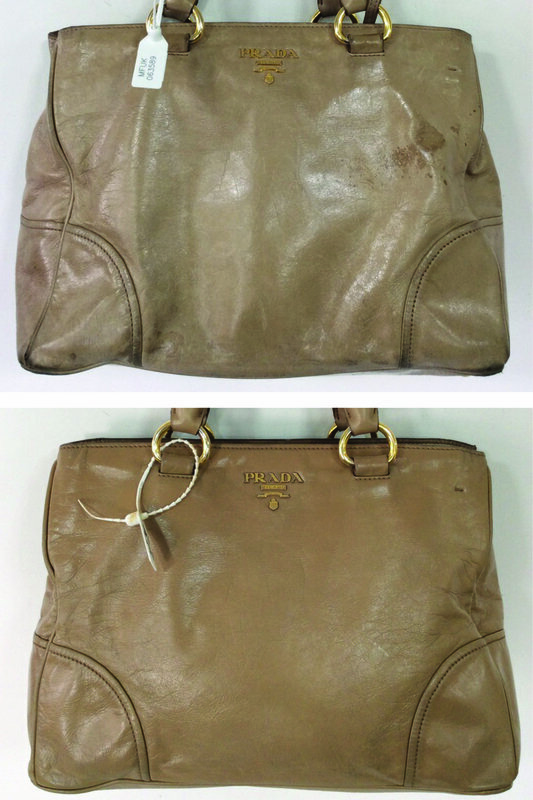 This Prada handbag came in to the spa, looking dull and a little distressed with years of use – it was definitely in desperate need of some expert attention! Firstly our technicians gave the bag a Full Clean, followed by a Stain Removal process for the marks and finished with Full Colour Restoration. Now the handbag is back to looking its best and ready for many more years of use. The day-to-day build up of dirt can actually make your bag look shiner, as you can see from this Chanel before photo. 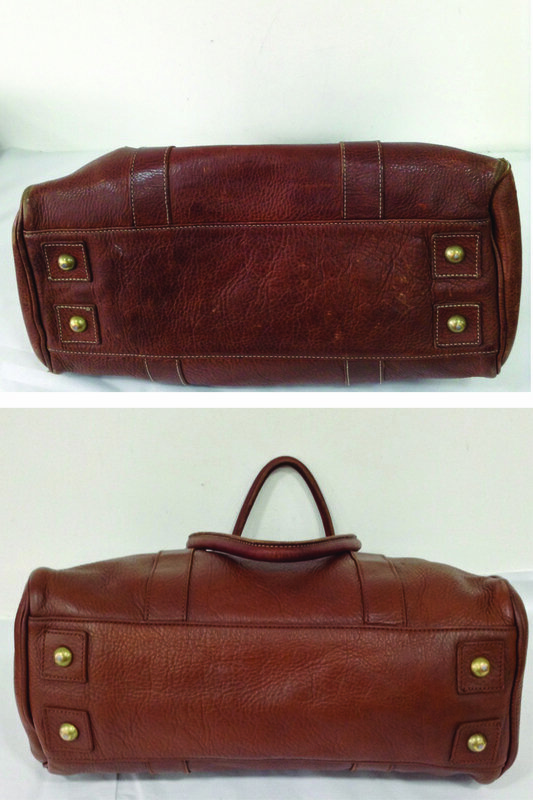 In this example, we carried out our Full Clean treatment to remove the surface dirt and refresh the bag, a Colour Restoration process was then required to rejuvenate the colour. 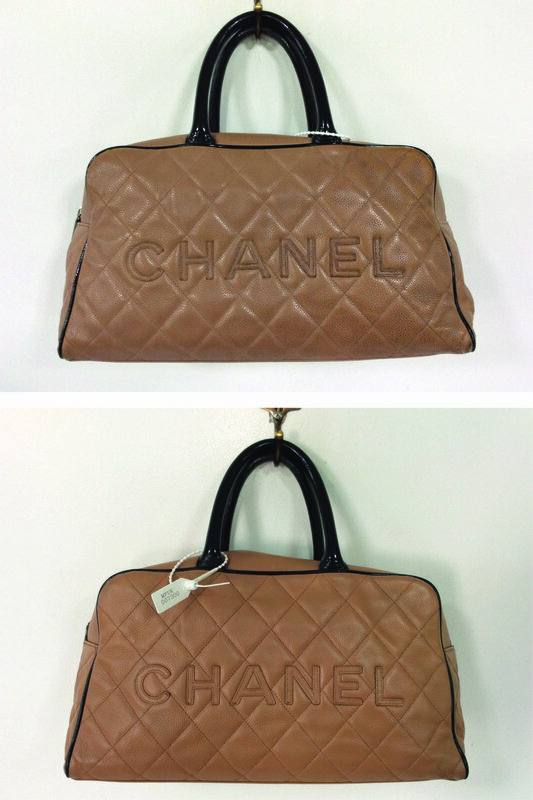 This Chanel was then Re-finished with a Saint Gloss effect, which was in keeping with the original finish, before dirt made its surface shiney. You can specify a chosen finish (matt, satin gloss or hi-shine) when your handbag arrives at the spa. The Mulberry Bayswater in oak is a new modern classic and deserves to be kept looking its best. Unfortunately, this customers came into The Handbag Spa with a grease based stain on the front. After undertaking a Degreasing treatment, followed by a Full Clean and Colour Restoration, you can hardly tell that a mark was ever there! 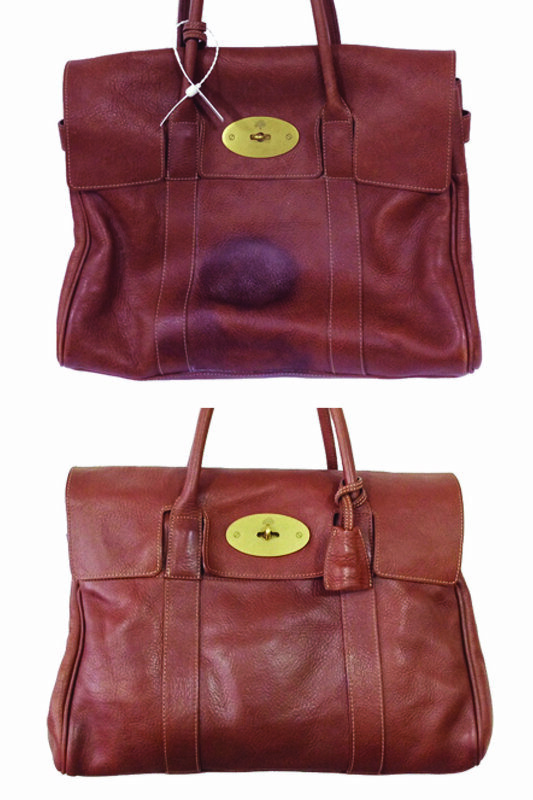 Our technicians here at The Handbag Spa have plenty of experience with restoring the rich oak colour back to Mulberry’s.